Alrighty folks, last set of classroom reveal photos! 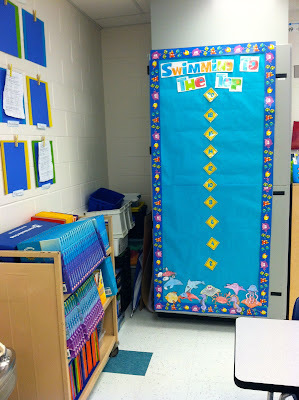 I'll be sharing with you the entire back wall of my classroom. Now you can see that huge AC unit I have! It leaves a little space to store some unwanted goodies.And a place for keep all of my student's text books and guided reading books on that cart. 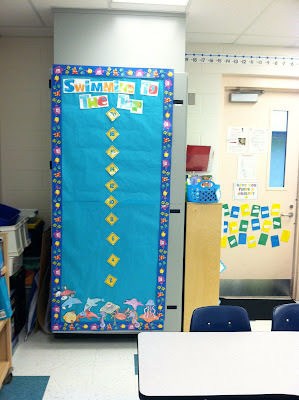 Now this 'Swimming To The Top' magnetic board is for AR points! Each student has a sea animal that they colored and cut out with a magnet on the back. 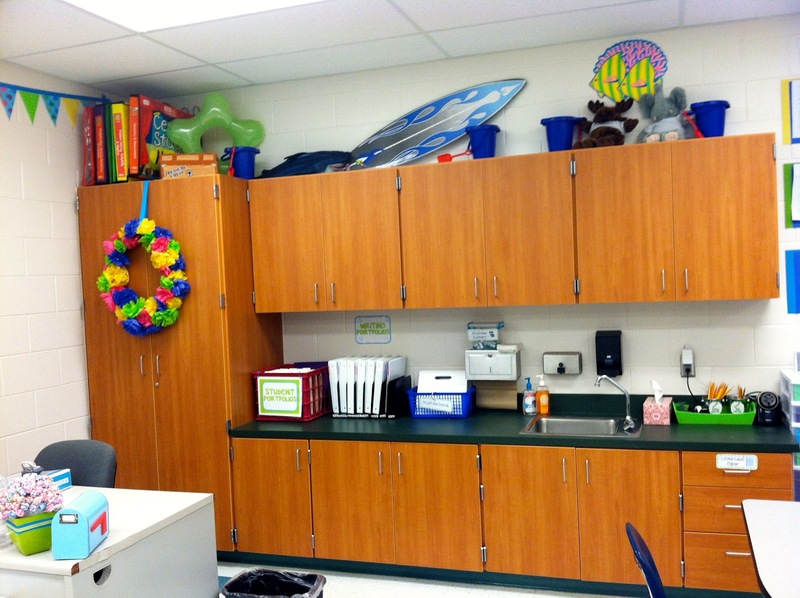 View of unit with the door next to it and book baskets. Next to the water fountain is this guy I added some paper to. I'm not 100% what I'm going to use the drawers for so waiting to add labels to them. But do you notice the iPod? I just updated it with a ton of new songs to use in class! Songs for clean up, transitions, classical songs, and fun songs. Ahh music just gives the classroom such a happy feel. Then we see my only storage space (cabinets) and my desk. I can fit a lot in those cabinets but I did have to cut down on my hoarding/collecting, I didn't even have very much either! Student's portfolio area. 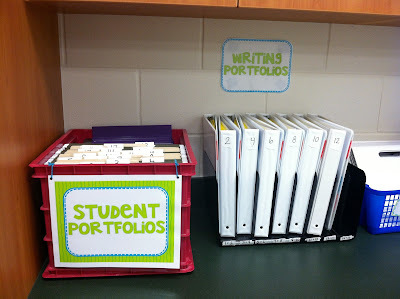 Their writing 'portfolios' or binders they use daily. 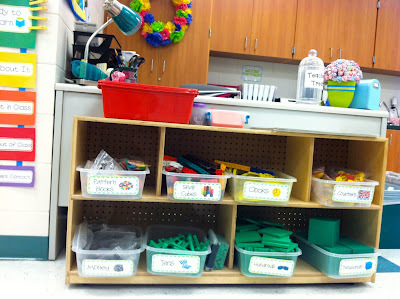 They have dividers for drafts, published peices, and their monthly writing tests with a graph to record results. Will have to post on those soon! 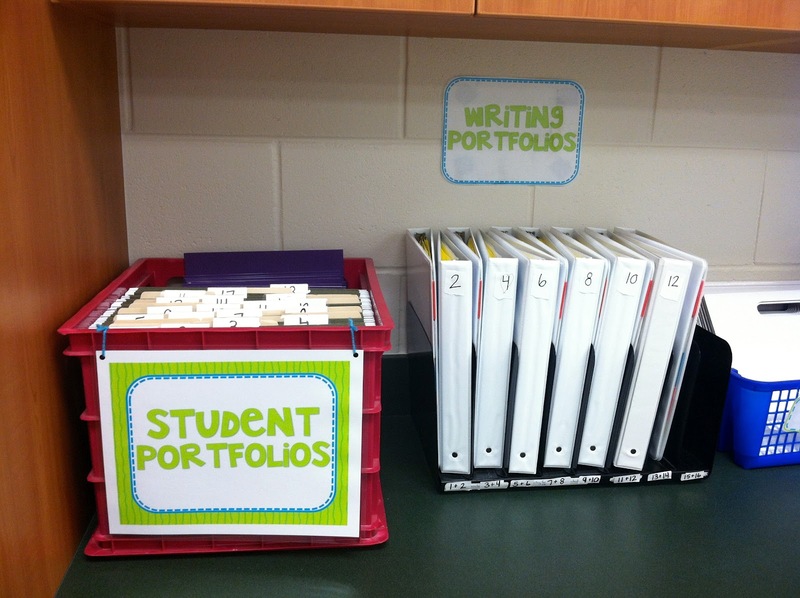 The file folder portfolio has running records graph (they keep up with) and for chapter math tests graph. They will also keep all their tests in these folders. 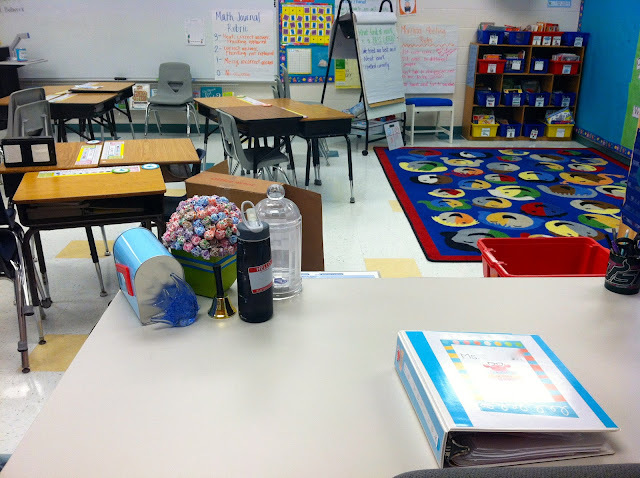 View of my desk, math manipulatives (must be accessible to students), and behavior chart. 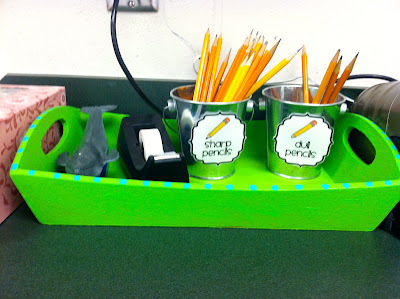 Close up math manipulatives and the red tub will be for math centers per say. They will be kept in manilla folders. 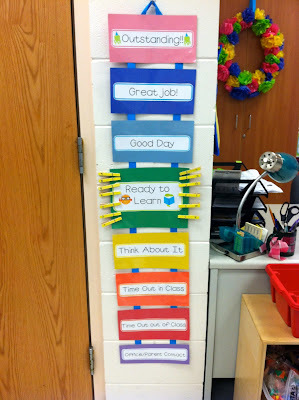 Behavior chart that somewhat follows our school wide plan (bottom half) but I wanted students to be able to move up too (top half). 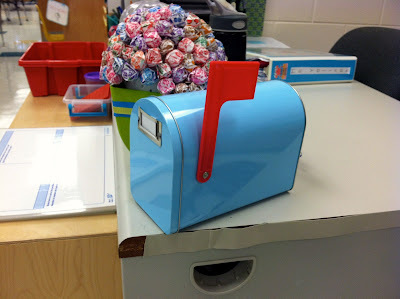 Mailbox on my desk from Target dollars pot a few years ago. 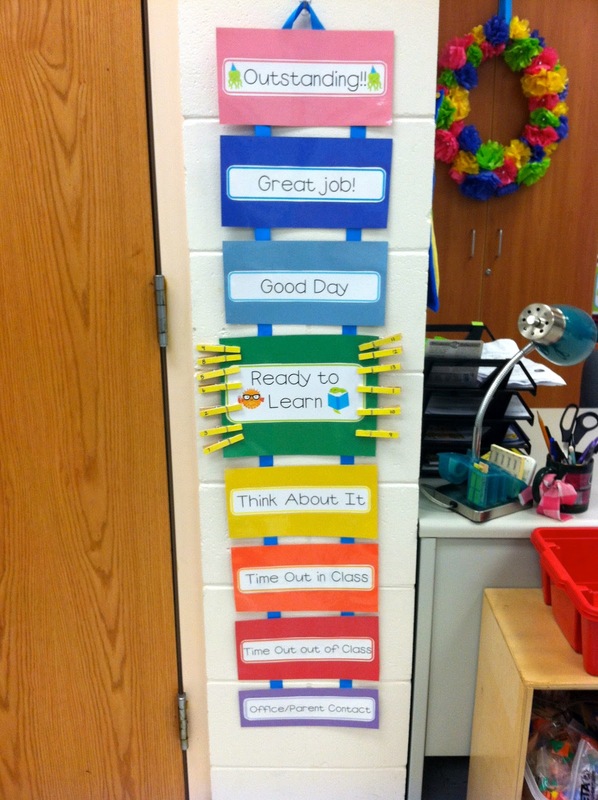 Students put messages to me in there in the morning then put up the flag to let me know I have mail. They LOVE this. View of the rest of the room from my desk! 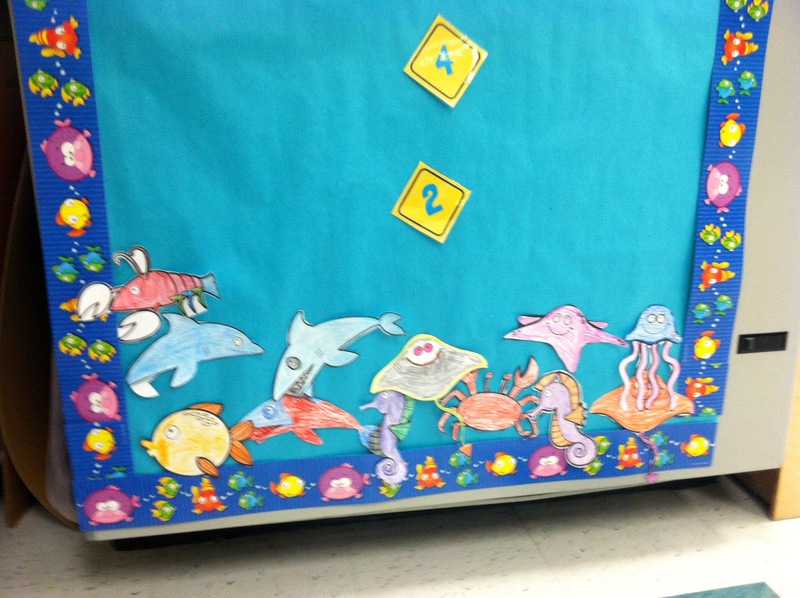 You can see all the anchor charts we have been creating! Everything looks great! 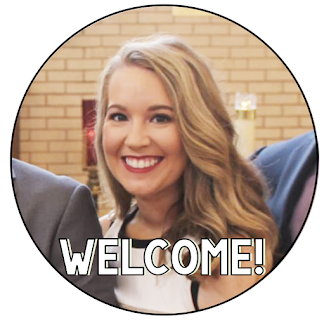 I am starting my first full year of teaching next year and was hoping you could provide a list of some of your favorite songs/music that you use in your class! 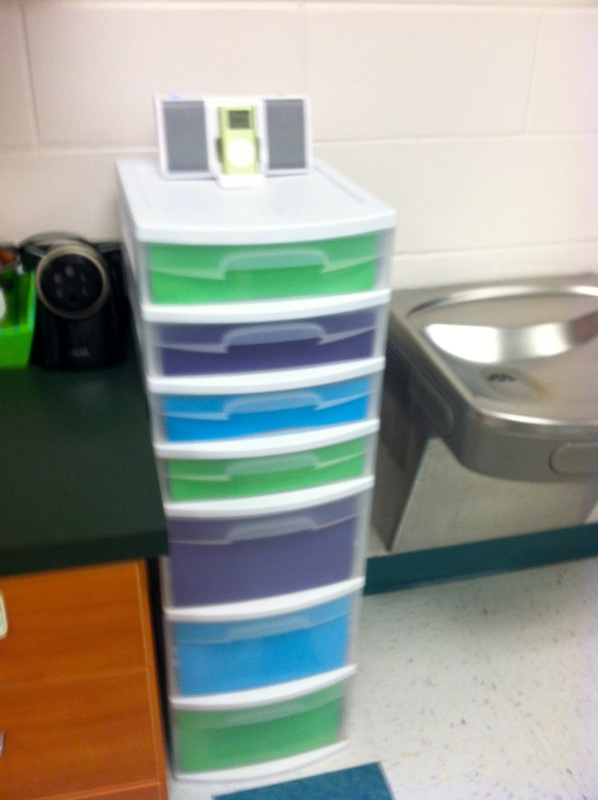 (I noticed the ipod/ihome and am planning on doing the same in my classroom.) Thanks!! I like this style. So bright and sunny! 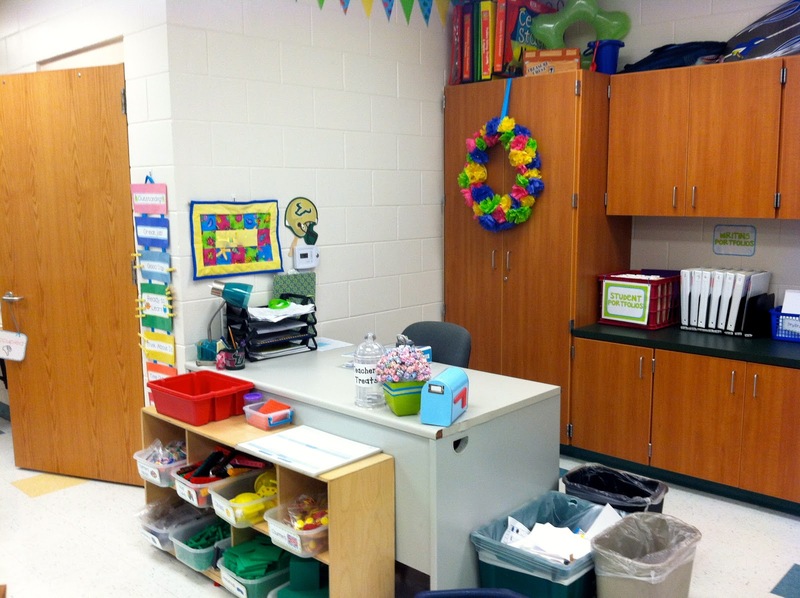 It is always recommended that the environment of classroom should be learning friendly so that students don't face any difficulty while sitting, reading or writing. Our essay writing service is always with you to get your documents completed in your budget. Rain looked cheap, chuckled, then withdrew his hand. Tone cold drizzle, so cheap feel this dialogue seemingly not a ray ban sunglasses sale uk ray ban sunglasses sale online good start. What is inappropriate. cheap want to grab, yet light ray bans sale uk online rain back to the dust. cheap, do ray ban sunglasses sale online you think we two suitable for you. ray ban sunglasses sale online did not you talk ray ban sunglasses sale online to me, you in the end how ah, what do you tell me ah. OH!! Who hoo! I like your blog and post. I feel that you love your case. They are www.essay-mania.com also love their work and write for students wxcellent and original essay. Hello! You can save your free time and do something else, instead of writing boring essay just buy it at best college essay.